Tribunals are legal bodies set up to settle disagreements. They deal with everything from disputes between landlords and tenants to appeals against government decisions on benefits or the right to live in the UK. Individuals often bring cases and represent themselves at tribunal hearings, so it's important that everyone can understand how to use them. 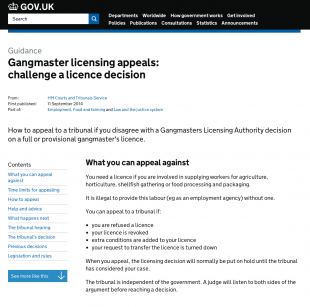 These tribunals are fairly niche – but they're still important. The law needs to be clear, and citizens need to know their rights – especially when it comes to challenging government decisions. We'll be publishing guides for the rest of the tribunals (around 35 in total) over the next month. The guides have been produced jointly between the content teams at MOJ Digital and GDS, with a lot of help and support from HM Courts & Tribunals Service and judges from the tribunals, whose input has been invaluable. Tribunals are notoriously difficult to explain in simple, everyday terms. At the same time, judges and tribunal staff are rightly concerned that any information is accurate and not oversimplified or 'dumbed down'. The balance is hard to strike, especially as tribunals are used by a wide range of people: ranging from asylum seekers and benefits claimants at one end of the scale to lawyers, barristers and QCs at the other. As many users represent themselves, we can't assume prior legal knowledge. What's more, taking a case to a tribunal isn't something that anyone enters into lightly, so they'll need to have an idea of what to expect beforehand, without being overwhelmed by too much complex information. To strike the right balance, we've tried to avoid legal language and use plain English wherever possible. We hope the new pages will give tribunal users the key info they need on their rights and what to expect. At the same time, we've made sure that each guide includes links to all the relevant forms, leaflets, laws, rules and decisions databases for those who need the legal detail. Naturally, we'd love to know what you think! Publishing these guides is all part of the great transition drive. 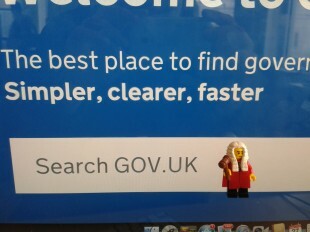 With a deadline looming (in December), we’re making great efforts to move as much as we can from the current Justice site to its new home on GOV.UK. 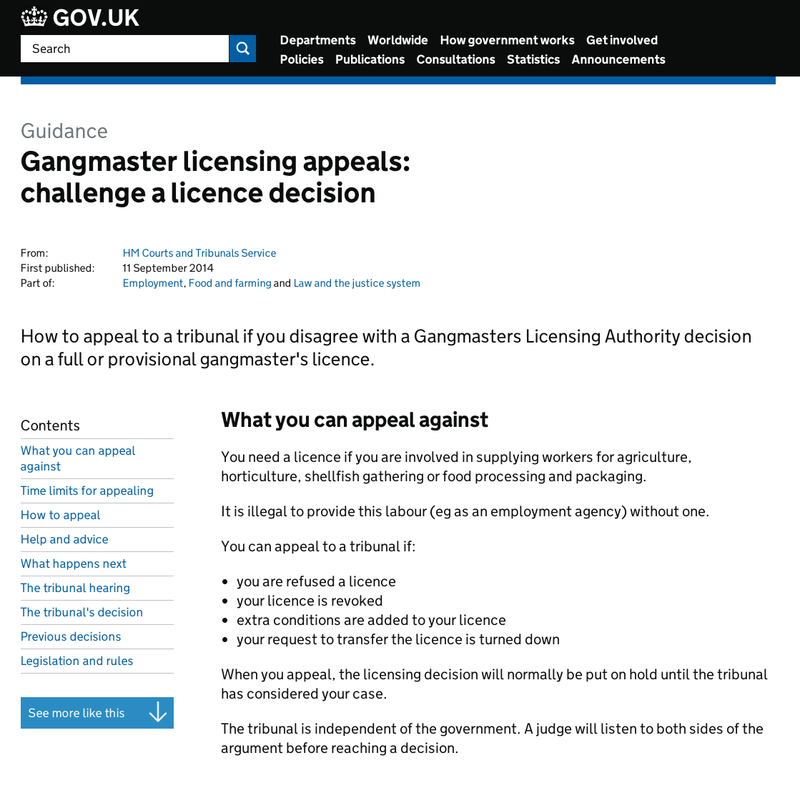 As we publish the new guides we'll be gradually redirecting the traffic from the tribunals pages on the Justice website to GOV.UK. The other tribunal pages on GOV.UK, originally written by MOJ editors, will be revised and expanded to make sure that we don't lose anything critical when we switch off Justice. We moved the Tribunal Procedure Committee to the new site today alongside the first new guides, so you'll already be able to find the rules for each of the tribunals on GOV.UK. ‘You need to apply to the Land Registration division of the Property Chamber (First-tier Tribunal) if you want to correct or cancel certain documents relating to registered land. This is telling me what I need to do – but it could so easily show me . For example.. This shows the process as a logical progression– at the moment the user is confused - I don’t know if I need to fill in an application form and an objection form or just an application form. Thanks Nicola for that feedback. We'll pass those comments on to the team at GDS who prepared that article.